How many semi-trucks will five proposed warehouses bring to the historic Weyerhaeuser campus -- and to major roads like Highway 18, Interstate 5 and South 320th Street? 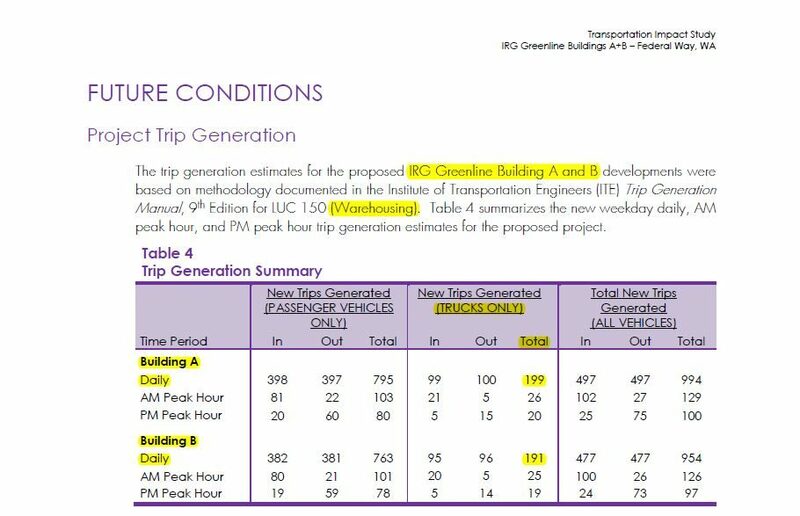 Based on traffic impact analysis reports contained in Industrial Realty Group's warehouse applications -- reports completed by its own consultants -- the total is 808. Do a little math and the total is 808. And that's every day. It's possible the number of trucks could be fewer -- or greater -- based on who eventually leases or purchases the warehouses from IRG. 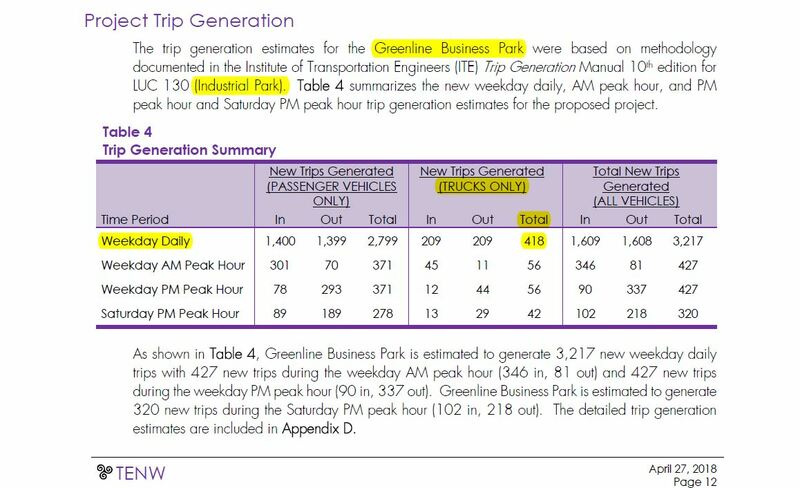 But the traffic impact analysis reports are based on IRG's designation of Warehouses A and B as general commodity warehouses and the Greenline Business Park as an industrial park (see highlighted designations on the charts below).